What happens when you use hands-on field testing to tackle hundreds of RIDGID tool reviews? You get the following results. Whether it includes their popular drills and drivers or their new RIDGID tools for tile, we cover everything you can order online or at The Home Depot. From the new Ridgid R7135 Mud Mixer and Ridgid 18V 9.0 Ah Bluetooth battery to their drills and drivers, we put them into the hands of Pros. What makes RIDGID tools so unique is their value. 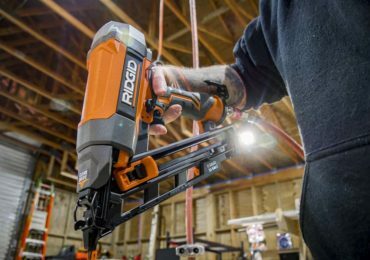 Often, we find RIDGID being very close to the top performers, but they are priced well under the other mainstream tool brands. Our scientific approach to RIDGID tool reviews allows us to really demonstrate whether they represent a value, or if a higher-priced model makes more sense. 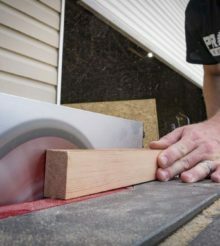 The Ridgid brushless circular saw makes for a great example as does the Ridgid R4221 12-inch miter saw. The reviews below cover most of the major RIDGID power tools found on the market today. Since we have the staff to take on hundreds of tool reviews each year, we make sure to get our hands on as many RIDGID tools as possible.